United States Vice President Joe Biden led the National Cancer Moonshot Summit in Washington, D.C. — held simultaneously with 270 events around the country — to call on patients, families, advocacy groups, researchers, scientists, physicians, organizations, and companies to work together in accelerating the diagnosis, treatment, and research toward cures for cancer. President Barack Obama in January tasked Biden to lead a "moonshot" initiative to end cancer, and the White House Cancer Moonshot Task Force was later formed and met with relevant federal agencies to plot a course for the ambitious strategy. The White House earmarked an initial $195 million investment at the National Institutes of Health (NIH) in Fiscal Year 2016 as part of a proposed nearly $1 billion budget initiative for the Task Force, whose avowed mission is "to double the rate of progress in cancer research and treatment, striving to accelerate what could be achieved in ten years in just five." The Vice President — who lost his son to brain cancer last year — reiterated the sense of urgency. He told the crowd gathered at Howard University, "I believe we can do in the next five years what would normally take 10 years. Time matters, days matter, minutes matter," according to Reuters. Biden has been making the rounds at leading cancer centers in the U.S. and communities around the world to talk to patients, patient advocates, oncologists, researchers, industry groups, and technology experts to plan specific activities in support of the cancer moonshot effort. At the summit, Biden outlined these specific public and private sector alliances in line with the mission of the Task Force. Included is the plan for the "Creation of a New Program to Accelerate Cancer Product Regulatory Review", which refers to the new Oncology Center of Excellence (OCE) at the U.S. Food and Drug Administration (FDA). FDA Commissioner Dr. Robert Califf has appointed Dr. Richard Pazdur as Acting Director of the OCE; Pazdur is charged with bringing together oncologists and scientists with expertise in drugs, biologics, and devices to support innovation of anti-cancer products and to help expedite the American public's access to innovative anti-cancer products through a collaborative approach. "The OCE will build on FDA’s integrative approach to medical product development and the collaborative work that has been a hallmark of the broader FDA oncology community for nearly a decade such as our cross-center monthly meetings to discuss key oncology issues, collaborative workshops and programs and the work we’ve done together on research and scientific publications," Pazdur stated. Pazdur will work closely with directors from the Center for Drug Evaluation and Research (CDER), the Center for Biologics Evaluation and Research (CBER), and the Center for Devices and Radiological Health (CDRH) "to formalize an innovative, yet seamless cross-center regulatory approach to enhance the coordination of clinical review across oncology-related drugs, biologics and medical devices," according to the FDA press release. The White House also announced commitments from several private sector groups who have answered Biden's call to action. Among these is a collaboration between the U.S. Department of Veterans Affairs (VA) and IBM Watson Health to help doctors expand and scale access to precision medicine over the next two years for 10,000 American veterans with cancer, and to advance genomics research. IBM's Watson For Genomics will assist pathologists in finding cancer-causing mutations and treatment options that target those specific mutations. Foundations and medical associations such as the American Cancer Society, American Society of Hematology, Breast Cancer Research Foundation, and Alex’s Lemonade Stand Foundation have pledged to double their funding for cancer research over the next five years. Other groups are focusing on medical device development. 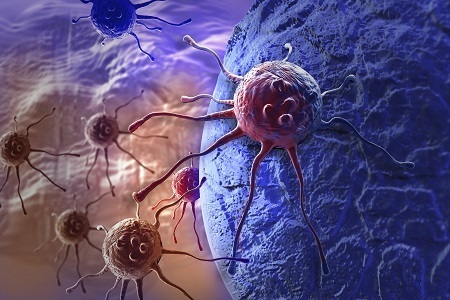 Cancer Research UK is developing a super-sensitive cell-scanning device that analyzes circulating tumor cells, while the National Photonics Initiative is develop a cancer technology road map that identifies the most promising existing and new technologies. Meanwhile, others are setting up competitions to attract researchers and engineers. The Harvard Medical and Business Schools will design and execute prize-based challenges in cancer research called Coding for Cancer (C4C) Challenges, the first of which is the $1.2 million Digital Mammography DREAM Challenge in partnership with Sage Bionetworks. Deloitte Consulting will hold an XPRIZE competition to generate breakthrough innovations for the prevention and eradication of cancer. Intermountain Healthcare, Stanford Cancer Institute, Providence Health & Services, Catholic Health Initiative, Henry Ford Health System, and Syapse have joined together to launch OPeN, the Oncology Precision Network, an initiative to facilitate sharing of cancer genomics data, and to rapidly match patients with clinical trials. Other groups and companies have projects designed to provide patients with access to more information. Scott Whitaker, president and CEO of the Advanced Medical Technology Association (AdvaMed), and Andy Fish, executive director of AdvaMedDx, lauded the Cancer Moonshot Initiative and its goal to bring life-saving medical device technologies to cancer patients. "In terms of cancer treatment and care, our member companies produce products and technologies that support people living with cancer and their health care providers through oncology research, diagnosis, radiotherapy treatments, surgery, and follow up care. Diagnostic tests and imaging technologies provide vital information that guides cancer diagnosis and treatment, while radiotherapies and surgical oncology tools provide life-saving cancer effective treatment and improve outcomes for people with cancer," they wrote in a joint statement. “As a whole, AdvaMed member companies are leading innovators of a formidable array of technologies that are cornerstones of the modern health care system and revolutionizing cancer care.